Christmas is already around the corner. You may be in denial because your tan lines have yet to fade, but summer is waning and it’s high time to start planning your holiday travels. Between the mulled wine, carols, and delicious sweet treats, organizing a trip to a Christkindelsmärik in Europe is a surefire way to make you want to skip fall altogether and head straight into December. So, this year, plan for a perfectly wintry holiday experience at one of these seven amazing Christmas markets in Europe. Dating back to 1458, Leipzig’s market is one of the oldest in Germany, as well as one of the largest, with attractions ranging from a fairytale forest to a 65-foot Christmas tree. More than 250 stalls — including a medieval market, one of the main attractions — are spread across six locations in the historical city center. The magic of a Leipzig Christmas is found in the simple pleasures, like nibbling on local Pulsnitz gingerbread as traditional trombonists perform their nightly routine on the balcony of the Old Town Hall. Don’t leave without finding a Feuerzangenbowle stand; the traditional German alcoholic drink involves setting a rum-soaked sugarloaf on fire and allowing it to drip into mulled wine. 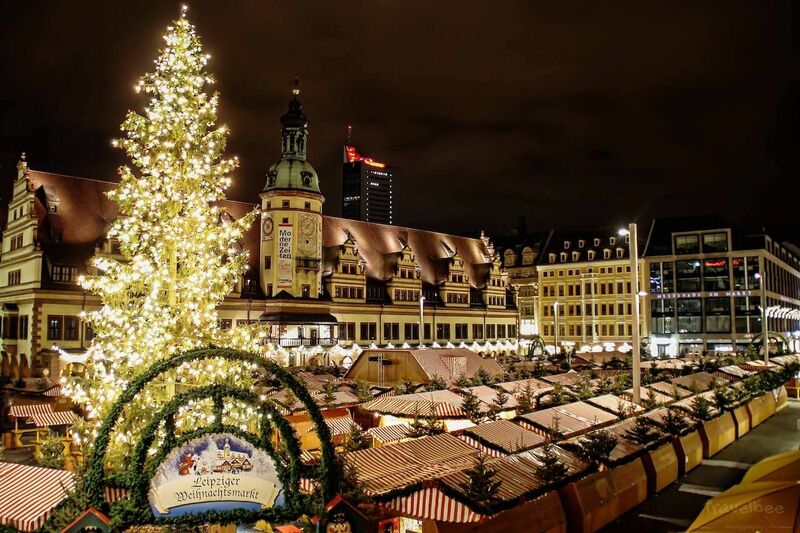 Leipzig’s market takes place from November 27th until December 23rd. The Kaysersberg Christmas market festivities take place along the town’s historic ramparts — including a watchtower that was once part of the Château de Kaysersberg. Craftsmen’s huts at the market include floral art, pottery, and Christmas decorations produced from blown glass, wood, fabrics, and other artisan specialities. Save room for must-try Christmas treats like bredeles (a traditional biscuit from the area), gingerbread, malt beers, and mulled wine. The town, fully decked out in thousands of lights, also puts on a series of Christmas concerts and recitals to ring in the Advent season. Kaysersberg’s Christmas market only takes place on the four weekends between November 30th and December 23rd. Shop for handcrafted goods between visits to punch and chestnut stands at the Viennese Christmas markets — and make sure to indulge in freshly baked vanillekipferl, a nutty, buttery, crescent-shaped traditional biscuit dusted with vanilla sugar. Vienna’s Christmas market tradition dates back to 1298, when Albrecht I granted citizens the right to hold a Krippenmarkt, or December market. Today, over 20 official Christmas villages are held all across Vienna. On the weekends, you can also listen to international choirs caroling at City Hall. 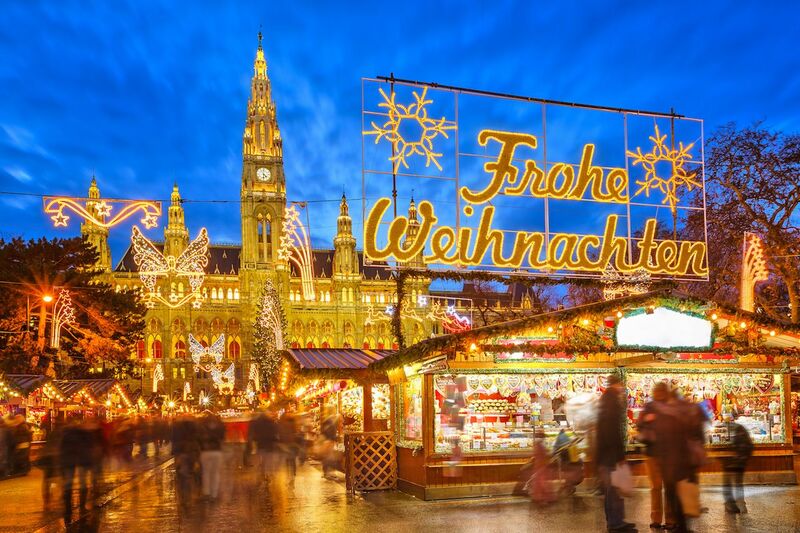 Vienna hosts one of the longest running Christmas markets in Europe, lasting from November 15th until December 26th. Each of the five mini villages making up La Magie de Noël à Colmar, which takes place from November 23rd to December 30th, have distinct charms. 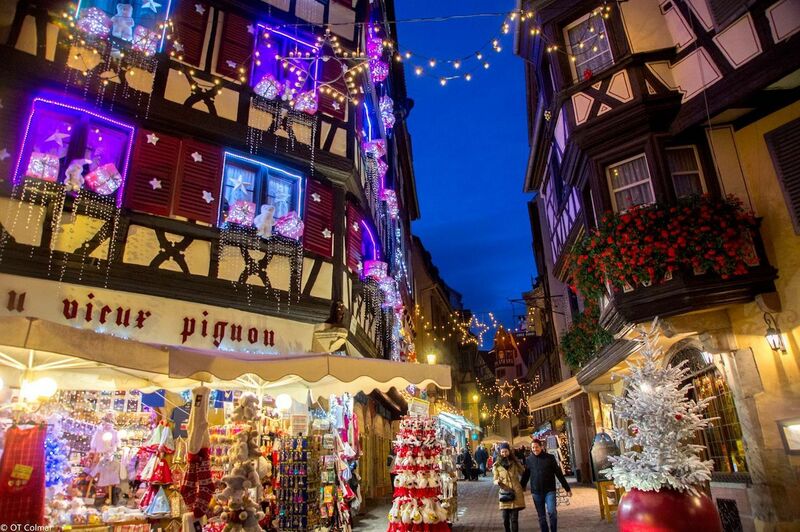 Colmar’s Christmas market is comprised of 180 stalls spread throughout Old Colmar, providing a fairytale setting for all your sugarplum dreams. This French town shares a border with Germany and Switzerland, and the Alsace influence is most evident in the market’s gourmet goodies: expect to find local producers selling everything from foie gras (duck or goose liver) to cheese, meats, honey, gingerbread, cakes, and more. Switzerland’s Montreux Noël takes place along the shores of Lake Geneva, with live music, light shows, and 160 illuminated chalet stalls creating a warm ambiance for visitors as they stroll and enjoy the ritzy resort town in the wintertime. Look out for Santa Claus on his flying sleigh between Lumberjack Village and Place du Marché, and don’t miss the chance to try a cup of lumberjack tea from La Cabane des Bûcherons or fondue-based specialities from Chalet Heidi. Montreux Noël is set for November 22nd through December 24th. 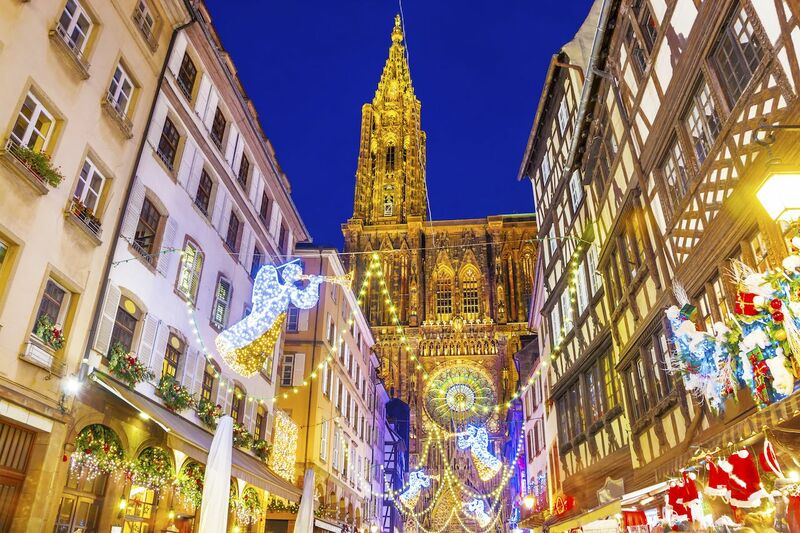 For a true holiday extravaganza, head to the oldest Christmas market in France (and one of the oldest in all of Europe), sometimes referred to as “the capital of Christmas.” The Strasbourg Christmas market dates all the way back to 1570, and this year’s market is scheduled for November 23rd through December 30th. 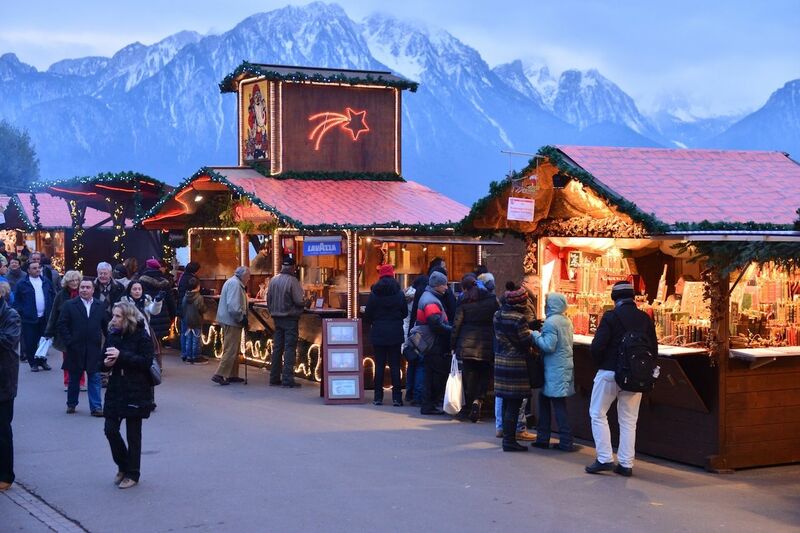 Located in the Grande-Île, a UNESCO World Heritage Site, Strasbourg’s Christmas market is made up of 300 stalls spread throughout the historic city center. Much of it takes place near the Cathédral Notre-Dame de Strasbourg, an intricate 15th-century Gothic-style cathedral. The fragrance of mulled wine and fresh spiced pastries like kougelhopf brioches and pain d’epice drift through the cold streets, enticing visitors to indulge. 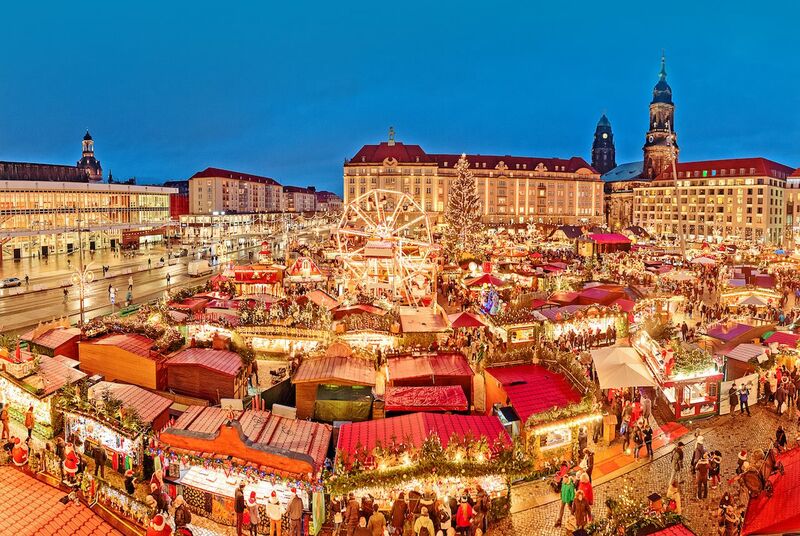 The Dresden Striezelmarkt is the oldest Christmas market in Germany. The name is derived from the city’s traditional braided yeast pastry, now known as the Dresdner Christstollen. On opening day of the market, the Mayor of Dresden cuts into a six-foot Dresdner Christstollen, which is then distributed to attendees of an ecumenical service at the Church of the Holy Cross. Afterward, visitors can enjoy Saxon treats from any of the 11 markets as they watch Father Christmas and his elves open the day’s window in the Advent calendar. Dresden’s Christmas market lasts from November 28th until December 24th.